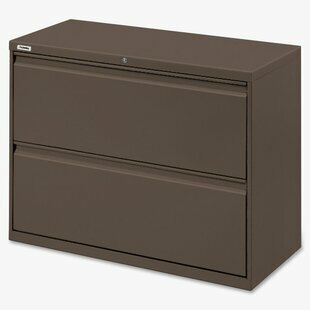 Hit CTRL-ALT-DELETE on clutter in any office or workspace with this handy four-drawer file cabinet. This office essential features a steel frame that uses 30% recycled content and measures 52.5 tall and 30 wide. 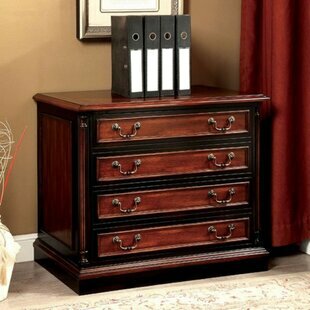 For storage, its fitted with four drawers each with ball-bearing glides, full-width pulls, reinforced bases, adjustable leveling guides, and magnetic label holders that accommodate letter- and legal-size files; plus, they lock for added security. Drawer Type: Legal; Letter Primary Material: Metal Fire Resistant: No Overall: 52.5 H x 30 W x 18.6 D Overall Product Weight: 140 lb. 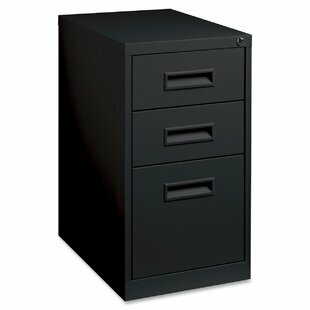 Drawer Type: Legal Primary Material: Metal Fire Resistant: No Overall: 61 H x 18 W x 26.5 D Overall Product Weight: 105 lb. 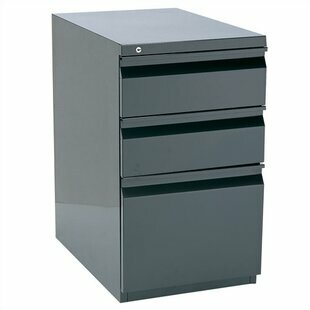 Drawer Type: Letter Primary Material: Metal Overall: 27.63 H x 16 W x 22 D Overall Product Weight: 65 lb. 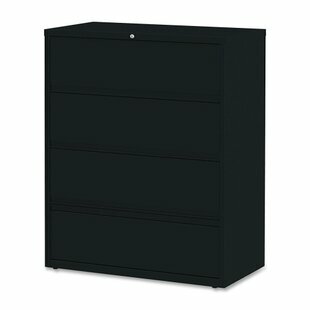 Drawer Type: Letter Primary Material: Metal Fire Resistant: No Overall: 27.75 H x 15 W x 22 D Overall Product Weight: 56.61 lb. 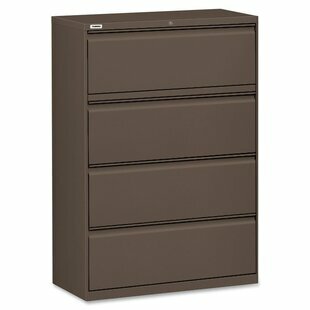 These stacking drawers file drawers offer heavy duty, stackable file storage for letter size hanging files. 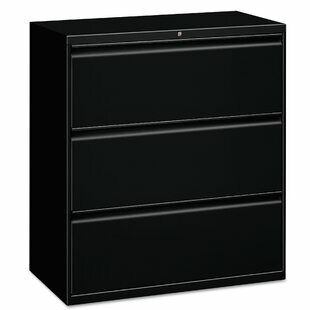 They are constructed with furniture grade drawer glides and include a stacking clip to secure multiple units in place. 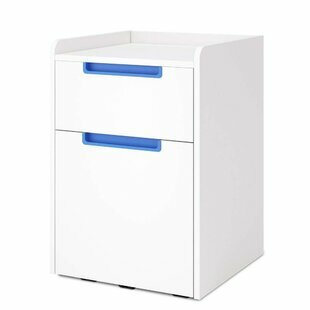 Drawer Type: Letter Full Extend Drawers: Yes Primary Material: Polypropelene Overall: 19.5 H x 15.375 W x 13.5 D Overall Product Weight: 7.32 lb. Lateral file features versatile drawers with hanging file rails for side-to-side filing in letter-size, legal-size or A4-size. Each drawer has a magnetic label holder for easy identification where you need it. Design also features a core-removable lock for security; dual locking bars; full-width pull; ball-bearing slide suspension for smooth opening and closing; reinforced base; and four adjustable leveling guides for stabilization. Interlock system prohibits the extension of more than one... Drawer Type: Legal Primary Material: Metal Overall: 54.8 H x 44.5 W x 18.6 D Overall Product Weight: 195 lb. 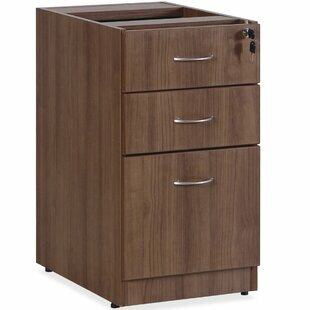 Essentials 3-Drawer Vertical Filing Cabinet is part of Lorell Essentials Series Laminate Furniture with high-quality, walnut laminate construction. 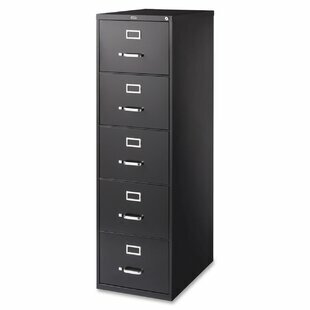 Pedestal offers a box/box/file design to store office supplies and important files. The file drawer includes hangrails and holds letter-size and legal-size hanging files. Design also includes metal drawer pulls with a silver brush finish and PVC edges. 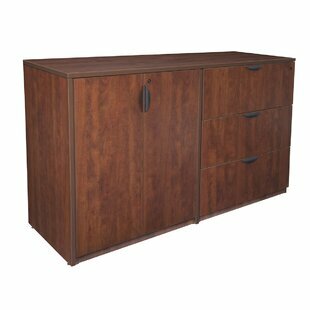 Pedestal attaches to the underside of the top of an Essentials Series desk, credenza or return... Drawer Type: Legal; Letter Primary Material: Manufactured Wood Overall: 31.5 H x 24 W x 18.1 D Overall Product Weight: 92.59 lb. 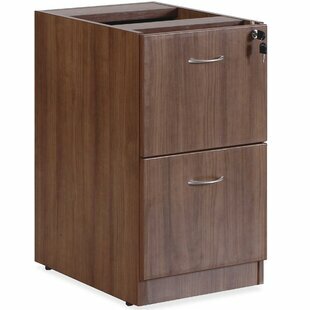 Essentials Series 2-Drawer Vertical Filing Cabinet offers a high-quality, walnut laminate construction with metal-to-metal, cam-lock connections. Design includes PVC edges and adjustable floor guides for stabilization. Furniture has pre-drilled holes with metal inserts for easy attachment. Brackets are designed for L-shaped configurations and bridge returns. Primary Material: Manufactured Wood Overall: 32.7 H x 24 W x 18.1 D Overall Product Weight: 88.18 lb. 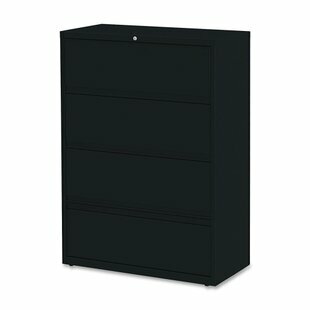 Drawer Type: Letter Primary Material: Metal Fire Resistant: No Overall: 67 H x 36 W x 19.25 D Overall Product Weight: 247 lb. 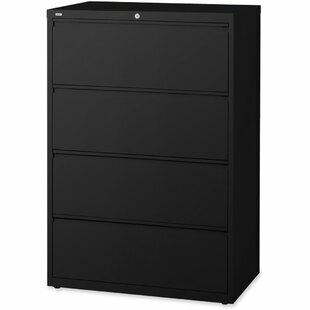 Drawer Type: Letter Primary Material: Metal Fire Resistant: No Overall: 28 H x 15 W x 20 D Overall Product Weight: 56.6 lb. This receding lateral file with roll-out shelves offers a total of five drawers with heavy-duty, three-piece, ball-bearing slide suspension. 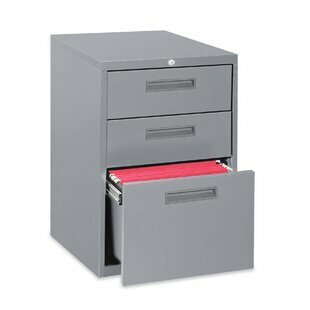 All drawers above the bottom one have receding fronts and roll-out shelves for easy access to your files. Bottom drawer has a fixed front. 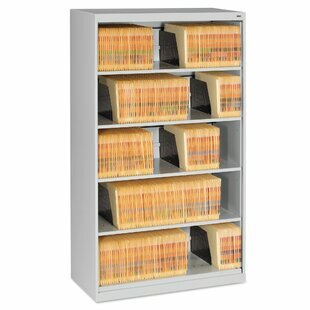 The top two shelves feature roll-out binder storage. 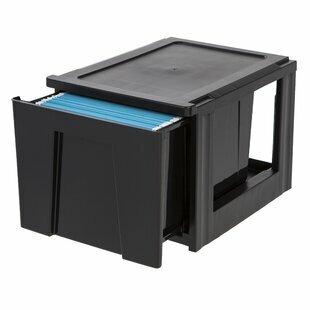 Included hangrails accommodate side-to-side filing of letter, legal or A4-size folders. Dual lock bars secure both ends of drawers. 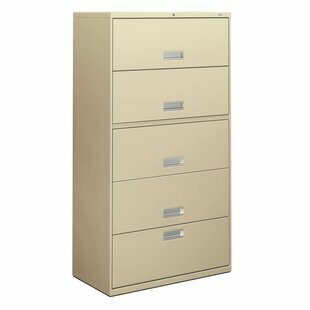 Interlock system prohibits the... Drawer Type: Legal; Letter Primary Material: Metal Fire Resistant: No Overall: 52.5 H x 42 W x 18.6 D Overall Product Weight: 203 lb. 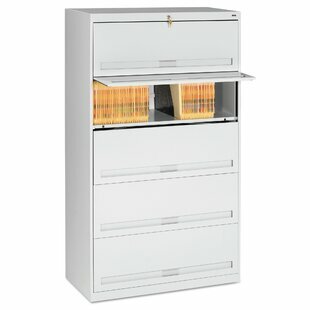 Drawers with side-to-side hang rails to accommodate letter/legal hanging files. Full drawer extension on steel ball bearing telescoping slide suspension. Stylish full-width radius edge recessed pulls. Anti-tipping interlock system allows only one drawer to open at a time. Single key core removable lock with two keys. Drawer Type: Legal; Letter Primary Material: Metal Fire Resistant: No Overall: 39.13 H x 30 W x 18 D Overall Product Weight: 160 lb. This receding lateral file with roll-out shelves offers a total of five drawers with heavy-duty, three-piece, ball-bearing slide suspension. 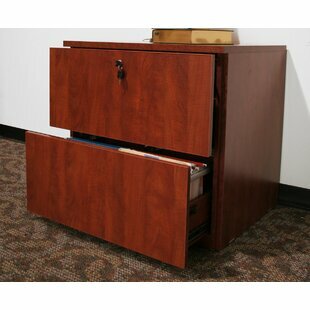 All drawers above the bottom one have receding fronts and roll-out shelves for easy access to your files. Bottom drawer has a fixed front. The top two shelves feature roll-out binder storage. Included hangrails accommodate side-to-side filing of letter, legal or A4-size folders. Dual lock bars secure both ends of drawers. 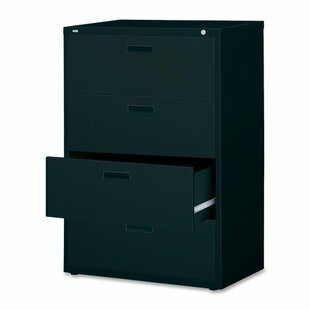 Interlock system prohibits the... Drawer Type: Legal; Letter Primary Material: Metal Fire Resistant: No Overall: 52.5 H x 36 W x 18.6 D Overall Product Weight: 186 lb. Lateral file features versatile drawers with hanging file rails for side-to-side filing in letter-size, legal-size or A4-size. Each drawer has a magnetic label holder for easy identification where you need it. Design also features a core-removable lock for security; dual locking bars; full-width pull; ball-bearing slide suspension for smooth opening and closing; reinforced base; and four adjustable leveling guides for stabilization. Interlock system prohibits the extension of more than one... Drawer Type: Legal; Letter Overall: 30 H x 44.5 W x 18.6 D Overall Product Weight: 144 lb. Keep the maximum amount of files in a minimum amount of space. Youll save valuable floor space and enjoy easy access to your data. Perfect for color-coded filing systems, books, manuals and more. Drawer Type: Legal; Letter Primary Material: Metal Fire Resistant: No Overall: 63.5 H x 36 W x 16.5 D Overall Product Weight: 124 lb. Keep the maximum amount of files in a minimum amount of space. Youll save valuable floor space and enjoy easy access to your data. Perfect for color-coded filing systems, books, manuals and more. Drawer Type: Legal; Letter Primary Material: Metal Fire Resistant: No Overall: 63.5 H x 36 W x 16.5 D Overall Product Weight: 180 lb.